Call to Action (CTA) buttons are probably the most important part of your Landing Page content – they tell the recipient what you want them to do next. To deeplink into Google Maps. To create a CTA button, click on the Add Blocks tab, and select the CTA block as highlighted below. 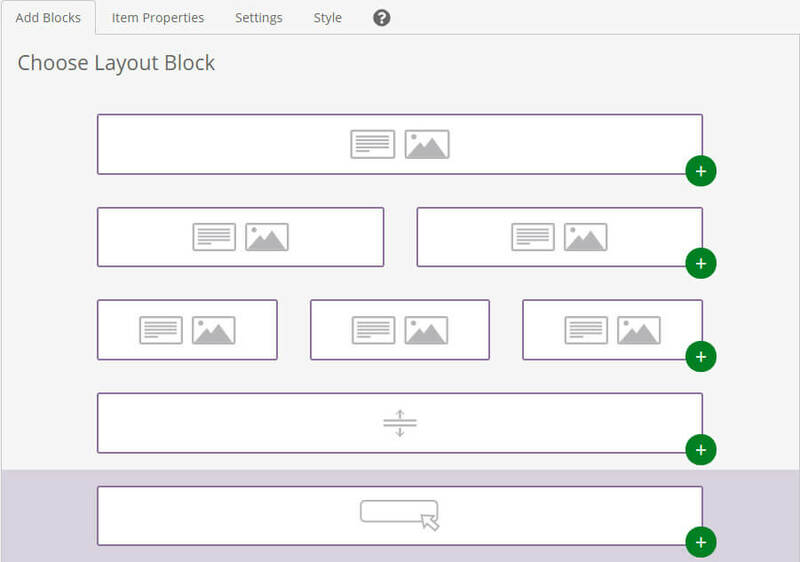 Then click on the block to open the Item Properties tab. Here you can change the Display Text, and decide what action you want to take place when someone clicks on the button. There’s a ? icon here to remind you what functionality is available. mailto: to initiate an email (i.e. mailto:liz.wilson@esendex.com). 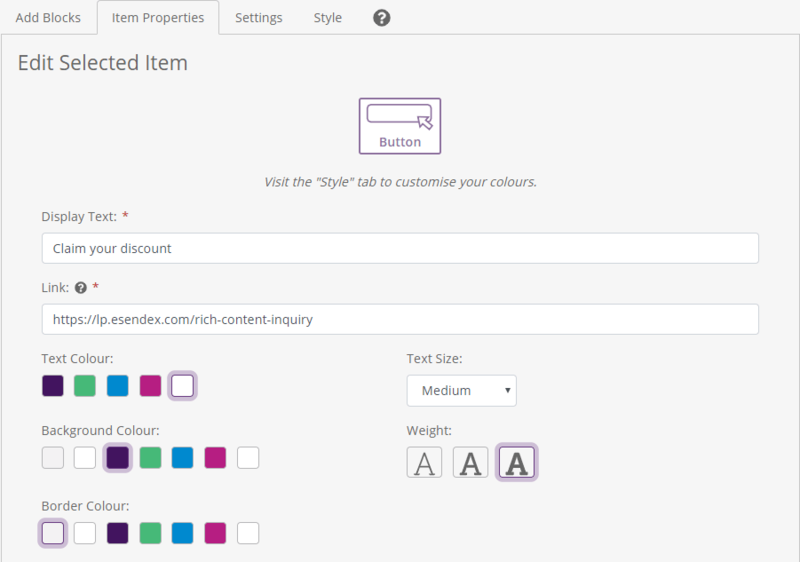 You can also change the text colour, background colour and border colour here – if your brand colours are not showing, switch to the Style tab to customise the colour palette. 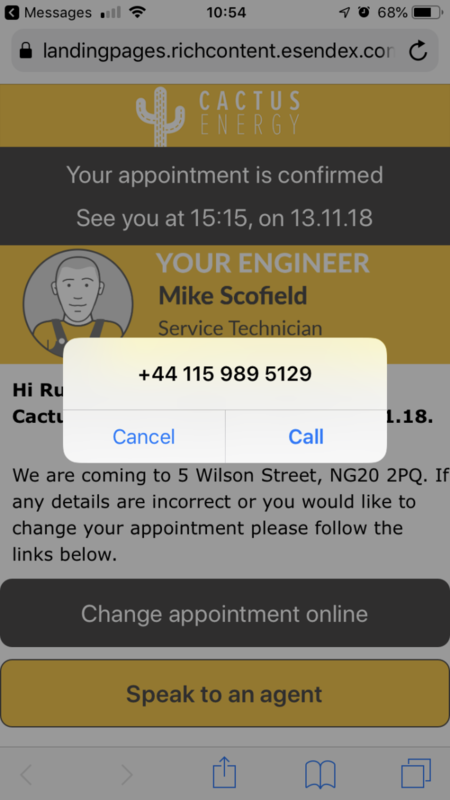 You can also change the text size and weight (light, medium and bold) before clicking back to Add Blocks to keep customising your message, or Next to save and move on to the next stage.